After some time ago we already know the figure of the world's most oldest scooter which sold with a pretty fantastic price. 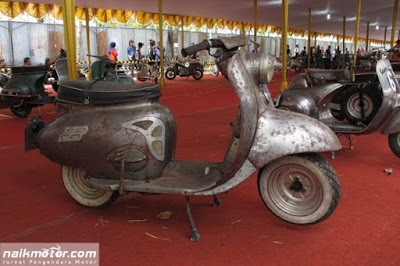 Yes, on this occasion we will also present the rare scooters created in the 1950s by 2 manufacturers who may sound awkward because they produced scooters that time. Because of the scarcity of these scooters are certainly make their selling price now is estimated to reach a fantastic value as well. Of course you also know that Britain also once has many manufacturers that produces scooters. One of them is Triumph Motor Company (TMC) which has ever produced Triumph Tigress. At that time, Triumph who has had a long experience in producing high-speed motorcycles, giving confidence to an automotive designer named Edward Turner to create a scooter concept. 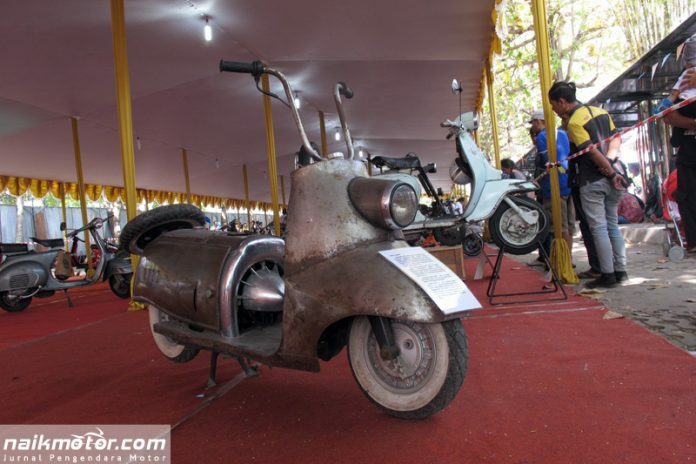 The result was in 1958, TMC for the first time introduced the figure of Triumph Tigress, a scooter using a 4-stroke twin engine with a capacity of 250cc that could produces power of 10 horsepower and capable made it running at a maximum speed of up to 70 mph (119 kph) and as well as made it as the fastest scooter back then. In its development, these British motorcycle manufacturer also produces the 175cc Tigress scooter which uses a 2-stroke single cylinder engine with an air cooling system that make this scooter becomes more efficient. These scooter becomes a favourite scooter that is liked by the community for comfortable ride. 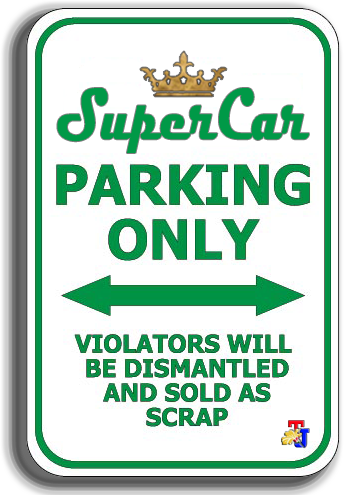 Its ride handling, acceleration and braking are highly qualified. 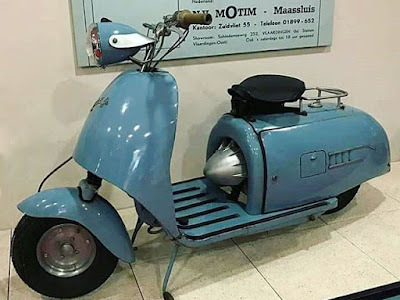 No wonder many speed lovers are crazy about this scooter. 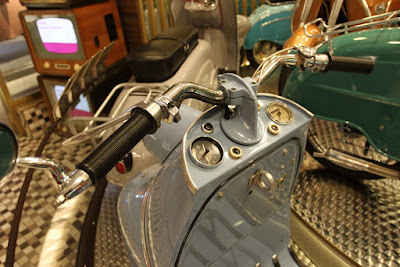 But behind the perfection of Triummph Tigress scooters, there are major obstacles that cause the scooters less desirable because of the cost of maintenance and spare parts are expensive. Those are classic problem faced by many British automotive manufacturers at the time. 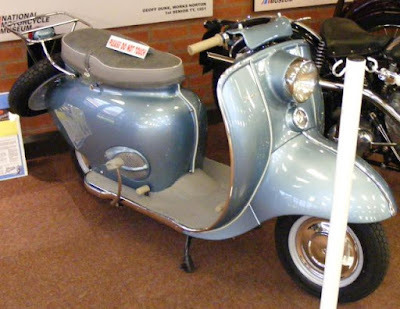 Besides known as Triumph Tigress, these scooter also has another name, namely, BSA Sunbeam, because in the 1960s some TMC shares were bought by BSA. One scooter that completes a row of rare scooters ever present in the automotive world is FAKA Scooter. This German-made scooter has a form that is somewhat unique, because of its long body. 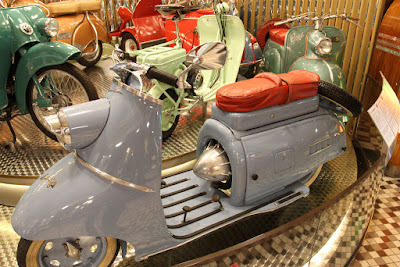 Which is not less unique from this scooter is the engine that uses an airplane turbine form and these are what distinguishes it with other scooters thus making the 1953 FAKA Scooter become one of rare scooters and most sought after by the collectors. All of that started in 1953, when a factory in Saizgitter-Bad, Germany named FAKA took over production of a scooter factory named Welba. 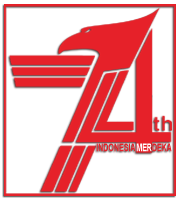 As has been known before FAKA has had many years of experience in the aviation world, and at that time they were intend to produce scooter with a unique design. These scooter was inspired by the form of jet aircraft, and then FAKA is able to implement it in the form of scooter figure. 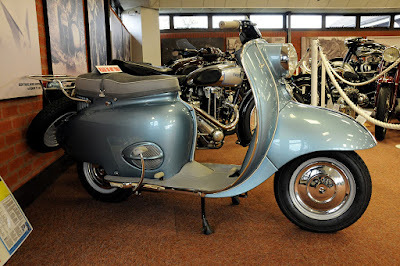 What is interesting about this scooter is the rear suspension, where the suspension is designed to go down when riding it on the road. This is what makes FAKA Scooter very easy to control and add comfort for those who ride it. These FAKA scooter uses a 200 cc engine capable of exploding the power up to 9.5 horsepower so it can reach a maximum speed of 100 kph with a hydraulic braking system. Because it is produced with qualified production quality makes the FAKA scooters were expensive. 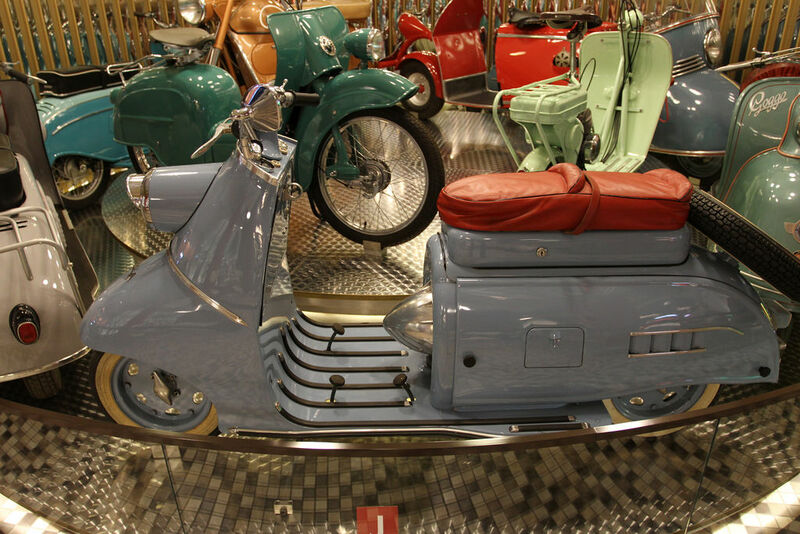 Another thing that causes these scooter is less desirable is the complexity factors to repair its rear suspension and hydraulic brake system. These unique scooter production ended in 1957. But over time, now the FAKA Scooter becomes a very rare item and most sought after by the collectors.